Twitter, Facebook, Tumblr, Pinterest…the list goes on! So many social media and blogging pages, millions of people using them each day along with the thousands of dating websites around, are we just living in a fantasy world and losing the ability to interact with actual human beings? Are kids that grow up now going to be able to interact with others? And do they actually call their friends and talk to them like I used to, or is texting and writing on each other’s Facebook walls the extent of communication. When I was a kid there were only payphones, none of this quickly text your mate if you were running late business. If you organised to meet your friend to go to the movies you’d wait there for them, and if for whatever reason they couldn’t turn up they couldn’t tell you and you’d just have to go home again. I guess in some ways having a mobile phone was good when I started catching buses when I was in high school. But I only had $20 credit to last me a whole month and my brother and I could only use it for emergencies and there was no such thing as texting. Sure, you could text, but it just hadn’t caught on. Most likely that was because I was only 1 of about probably 30 kids who had a phone, and they were all “emergency phones”. Oh the dramas when your friend ran out of credit for misusing their phone and couldn’t contact you for days or worse had it confiscated! (which was a chunky and giant lump of metal which could do nothing exciting but use Microsoft office and play the odd computer game with really bad graphics). Kids now take it all for granted. I’ve seen Facebook status’ of young kids saying “oh my god what would I do without Facebook?” geez kid, I don’t know go outside? Interact with your friends in person? Having no Facebook has been 95% of my life!!! It has only been popular for probably about five years. I realise that makes me sound old, but it’s true! All these keyboard warriors who sit there and judge others on YouTube, Facebook, twitter or whatever I feel can’t have much of a social life. If all you’re doing is annoying people via a computer I feel kind of sorry for you. I’ve met a few people in my time who are so painfully shy that social media and dating from behind a computer screen probably is good for them in the way they feel more confident, but can you really get to know anyone that way? Sure they can tell you all kinds of things, send you pictures and stuff but in the end they could still be a 50 year old man. And “dating” someone via the net just makes me laugh. Ok sure if you eventually meet them then date them in person then maybe it could work, but you can’t flirt or get to know someone via a chat window or a camera. Body language and physical presence I think is a big deal in getting to know anyone. Technology is great, and hey I love a good iPhone or laptop but is it always a good thing? Now kids are developing addictions to playing online games, getting RSI from using joysticks on controllers, bad eye sight from sitting in the dark watching TV or being on their computer late at night, unhealthy eating and sleeping patterns from all the same things. This is crazy to me! Things like socially using a computer or playing a game should be something you do sometimes, not for hours a day. Growing up my brother and I were restricted to when we could watch telly, and to be honest I can’t recall spending hours and hours sitting in front of it either. We couldn’t watch it in the morning unless we were completely ready for school, and in the afternoon we couldn’t watch it unless we had done all our homework. The thing that weirds me out the most is watching my three year old cousin use an iPad. She knows exactly which buttons to press, how to open apps, play videos and look through all the photos. I’ve only just grasped how to type on a smart phone let alone use it like it’s second nature!! I don’t really know what the point of this article was. I suppose now it just makes me sound like I’m 80 and I’m saying “well back in my day…blah blah blah blah” But things are just happening so fast in the technology world and I’m not 100% if all of it is a good thing. Although when the time comes I’ll be first in line waiting for my Marty McFly hover board and flying car! 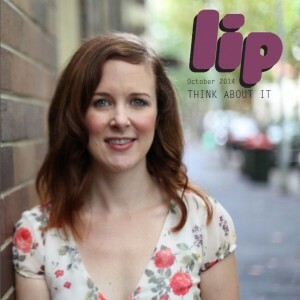 It’s no secret that we at Lip are all Facebook addicts – what do you think? Is social media taking over our lives? This entry was posted in Opinion and tagged addiction, facebook, internet, social media, technology, twitter. Bookmark the permalink.